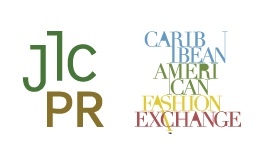 CAFE - Caribbean American Fashion Exchange™ is a JLC PRoductions economic development model designed as a sustainable marketing initiative for the sales and promotion of Caribbean-heritage, and emerging American fashion and accessory brands. CAFE™ was created to provide an avenue for these designers to take their businesses to the next level through a strategic marketing program and consists of a series of events that would position brands before three targeted audiences – the general public, the individual customer, and the trade and industry. CAFE™ commits to bridging the gap between participating brands and the United States market, by prepping designers for presenting their Spring/Summer collections to buyers and press through strategic sales and promotions partnerships, that include participating in PoP-Up stores; fashion shows and displays; and showroom presentations. Upon registration, brands are vested with sustainable business development services such as tech-savvy spec sheets, email marketing membership, business directories, and brand development consultations. The CAFE™ program is suited primarily to those who are ready to enter the export market. The CAFE™Export Assessment Survey Tool (EAST) is the first step that interested brands and designers take to assess their readiness to enter the export market. Upon completion, interested parties will be contacted by a JLC PR representative to discuss the next steps in reaching their export goals. All Caribbean-heritage designers are encouraged to complete the survey which opens Spring 2019. Stay in touch!